Guilt Free Burgers - Fit, Healthy and Fabulous! I do not eat red meat but I love the burger concept so I just substitute the meat part and add the works. I had to come up with a few satisfying and Guilt Free Burgers. Some of my favorites are Portobello Mushroom Burgers, Grilled Chicken, and Black Bean Burgers. Here are a few of my favorites for the best and most delicious burgers. My Portobello Mushroom Burgers are pretty simple and packed with nutrients too. Some people like the actual mushroom to be the bun, but I love whole grain non GMO buns for all my burgers. Just slice the mushroom caps in half to make four, lightly brush each with olive or coconut oil, add spinach, fresh tomatoes and goat cheese to two of the mushroom caps and cook on the stove top, medium heat until lightly brown and flip once or twice, cooking time is approximately 5 minutes, if you choose no bun, just add romaine lettuce, onion and simply place the mushroom caps together, Yummy! The chicken is also simple, I actually have two versions of this one I only use Smart Chicken ground or breasts. With the ground I add a touch of Worcestershire sauce, cilantro and I hand flame hot peppers until brown and add Oaxaca which is a Mexican cheese and grill, put them on a whole grain non GMO bun, and garnish with avocado, red onion, tomato and ketchup mixed with hot sauce. If you prefer a breast, just brush with a little Worcestershire sauce and grill, chop the cilantro and peppers with onions and make a salsa, add cheese and the salsa right before you finish cooking so they melt together and place on a bun and garnish the same as above. 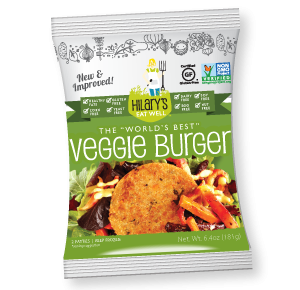 If do not feel like cooking I LOVE the Hillary’s Eat Well Veggie Burgers, these little gems are ALWAYS in my freezer! 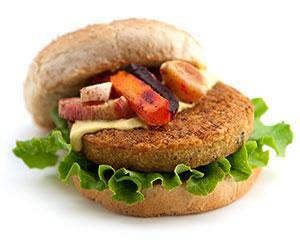 Photos are of my favorite Hillary’s Eat Well Veggie Burgers! This entry was posted in Healthy Food and Recipes and tagged Healthy Food Choices.